In this installment I discuss the reasons why we spend money including the Keeping up with the Joneses mentality. 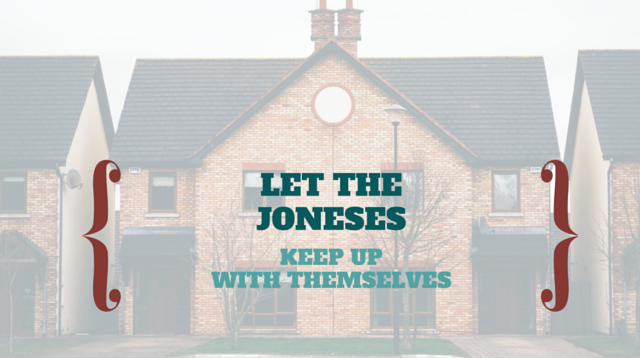 Who are the Jones? How have they changed over the years? Why do we try and keep up with them? What other reasons do we spend money? Aimed with this knowledge, how can we keep from spending as much money? I encourage listeners to ask Why before each purchase. Is is a want or need? Can we live without it and is there something better we can do with the money. For homework, you are to analyze your spending since the How to Get a Pay Raise in 30 Days series began. Look back and ask Why? Work to better understanding that question so you can react appropriately in the future before you spend on something you will regret buying.